Welcome To Extreme Excite: We cater entertainment services in all kinds of events. We cater entertainment services in all kinds of events. 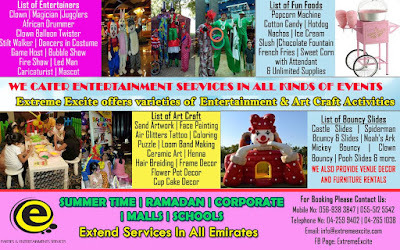 Extreme Excite offers varieties of Entertainment & Art Craft Activities.